Respect the campground rules. Every campground has rules, some exclusive to them, some more generic. Make sure you fully understand the rules and follow them from the time you arrive and until you leave. Stay on your side when parking. Parking your rig can be tricky but make sure to always stay on your side of the guideposts, even if the only one there is the hookup post for electric and sewer. 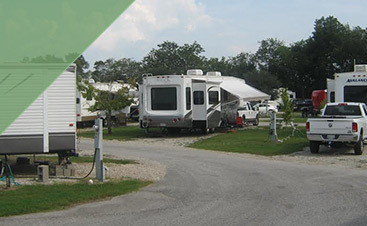 If you’re confused about how to orient your RV, take a look around, consult the park map or ask the campground hosts. Common sense should tell you that the final spot should allow as much usable space for both you and your neighbors. Be conscientious of the time of day. Sometimes arriving late or leaving early can’t be avoided. But try to plan your trip to where late arrivals are a rarity. If you do happen to pull in during later night-time hours, keep set-up to a minimum and finish quickly. You can always reconfigure in the morning. Maintain the border. Do what you can to not trespass on your camping neighbors’ “properties”. 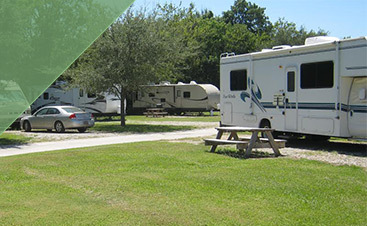 Just as you wouldn’t use your at home neighbor’s lawn as a shortcut or a place to play catch with your kid, so should you not do that at a campground. Occupied sites “belong” to those around you. Respect those imaginary lines. Mind your business. We mean your personal business. Make doubly sure that your sewer connections are secure and correct. 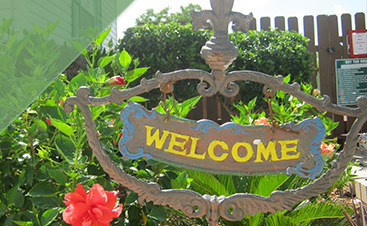 Remember, your sewer lines often face your neighbors outdoor patio space. Be overly courteous regarding this point.